Linfield has a new group of talented and creative students on campus who have already embarked on their passions through the Arts and Humanities in Action (AHA!) pre-orientation program for students interested in the arts and humanities. On Thursday their program came to its conclusion in the form of presentations in Delkin Recital in the Vivian Bull Music Center. Their projects were centered on a historical case they studied this week about the first convicted murderess in the Oregon territory, Charity Lamb. 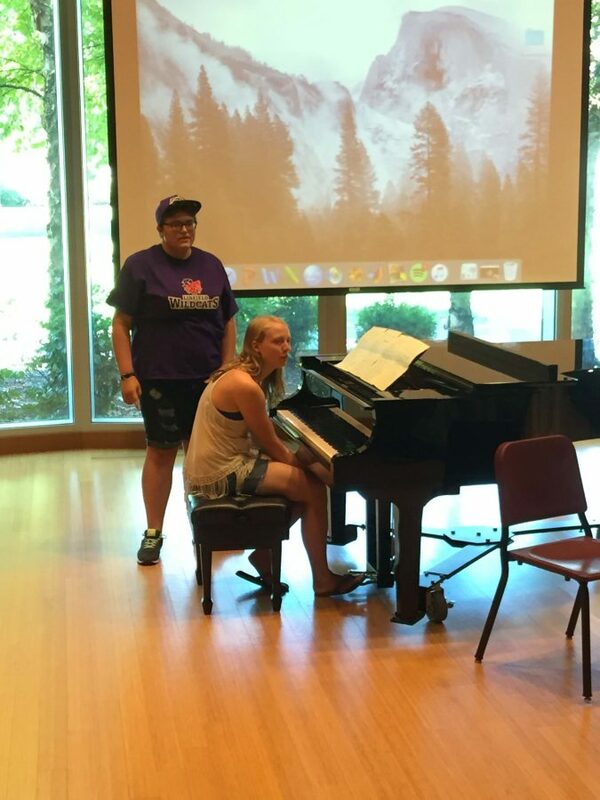 “I am very grateful to have had the pleasure of being a liaison between the incoming freshman class and Linfield’s art and humanities community. Watching the students expand their academic horizons as well as growing into themselves in the process was fulfilling,” said peer mentor Savannah Hurst, ‘18. The first presentations brought student written lyrics to life with beautiful lyrics and piano accompaniment. Celtic murder ballads opened for a pop rendition of break up music and the presentations were well on their way. Students stood nervous before their peers and instructors and bared their souls in the form of spoken word poetry, satirical haikus, and dark, provocative short stories. 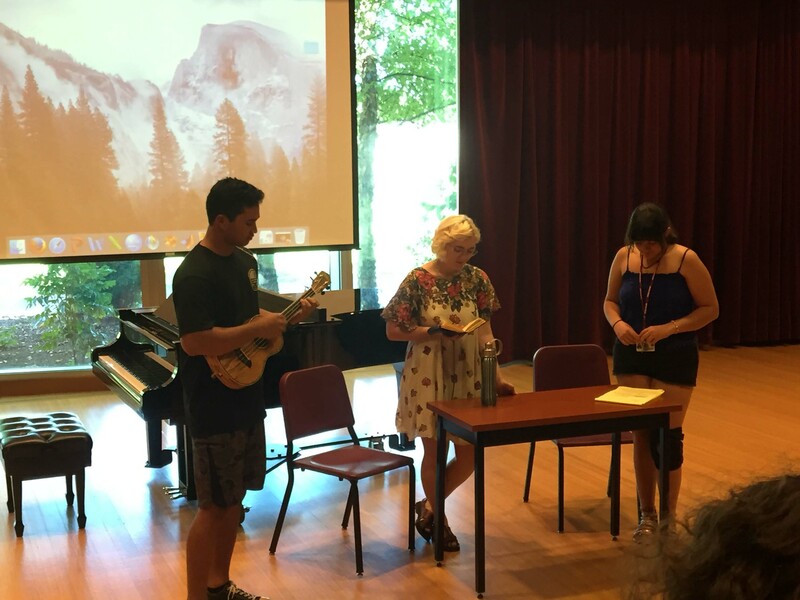 One performance even incorporated three languages alongside a ukulele. “All three of us come from completely different musical backgrounds, it’s really cool having all of us contribute from different angles,” Mary Grace ,’20, said. Many of the performances were musical in nature ranging from the classic murder ballad all the way to rap. Although perhaps one of the most touching moments came from Claire Hamada who drew and painted all of her fellow AHA-ers on a poster. “I wanted to focus on the friends I made,” Hamada said at the start of her presentation. “This year’s cohort of AHA!ers displayed a wide and impressive array of musical talents. It is also clear that they took away much of the knowledge that Linfield¹s faculty shared with them at each of the workshops. We were pleased that they have built a strong cohort of solidarity and ability to work with each other,” said coordinator of the program, professor Tom Mertes. “They were generous, emotionally receptive to one another; there never was a time where they felt awkward around each other. They all really hit the ground running. Spunky is a good word for them,” professor of English Anna Keesey said.